Peugeot aims to please | What Car? Peugeot is aiming to be one of the top three car companies for customer satisfaction within a year. It is all part of a company-wide quality drive that includes everything from the craftsmanship and reliability of its cars to their whole-life running costs and the way customers are treated. 'The quality of our products is at its best level ever, but we need to go further,' said head of Peugeot Jean-Philippe Collin at the company's first dealer service awards in Paris. 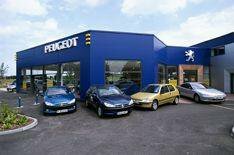 Peugeot dealers in the UK are already on course to hit the company's customer satisfaction target. However, Collin acknowledges that, overall, the company's worldwide network is no better than 'among the upper part of average'. The Peugeot chief is more satisfied with improvements made in the materials and build quality and the reliability of the company's cars. Peugeot claims to have cut the number of faults per vehicle by 75% in two years and to have more than halved breakdowns in five years. It also says, that when customers report 'anomalies', these are being solved within 40 days compared with four months only three years ago. Collin added: 'Improving quality is like trying to hit a moving target. Higher standards are constantly being set and things not seen as defects 10 years ago are now unacceptable.